Questions about the Philips 248898 ? Our #1 goal is to provide you our products at the best possible price. If you find the Philips 248898 for a lower price (including shipping) at another authorized online store, send our sales team an email and let us know. 45W GE Incandescent Lamp. Reflector Flood. -Name:45R/FL/MI-1 6PK -Bulb:Reflector BR30 -Base:E26 Medium Screw -Watts:45W -Volts:120 Volts -Case Qty:30 -Filament:CC-6 -Length:5.37 in -Life:2000 hours -Initial Lumens:485 lumens -CBCP:300 -Beam:FL -Reduced Wattage Option:Yes -Notice:Should not be used in equipment where the base lamp will exceed 550 Degree Fahrenheit (260 Degree Celsius). 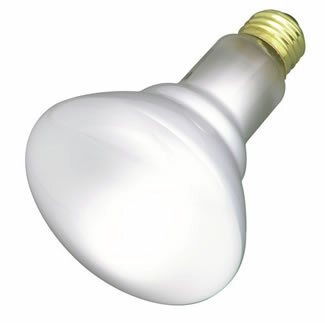 45W GE Incandescent Lamp. Reflector Flood- Long Life. -Name:45R30/FL/LL 6PK -Bulb:Reflector BR30 -Base:E26 Medium Screw -Watts:45W -Volts:120 Volts -Case Qty:30 -Filament:CC-6 -Length:5.37 in -Life:2500 hours -Initial Lumens:450 lumens -Beam:FL -Reduced Wattage Option:Yes -Notice:Should not be used in equipment where the base lamp will exceed 550 Degree Fahrenheit (260 Degree Celsius).